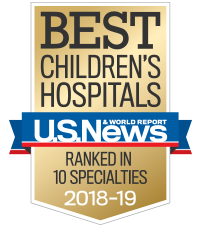 Children’s Healthcare of Atlanta is one of the only healthcare systems in the country that’s able to provide highly specialized pediatric testing and procedural care for issues including blood and marrow transplant, MIGB therapy, plastic surgery, radiology and more. Our experienced lab team provides expertise and support to the clinical areas of our hospitals and to the community through our outpatient services. We’re among only a few centers in the U.S. to offer advanced MIBG therapy for difficult-to-treat cancers, including neuroblastoma or pheochromocytoma. We use the latest tests and imaging equipment to help diagnose neurological conditions and develop the best treatment for children. We are home to one of the largest and most experienced pediatric plastic surgery practices in the region. We use highly advanced imaging equipment to diagnose disease and injury and plan treatment in children of all ages.